” The Federal Government will invest more than $36 million in national suicide prevention projects to raise awareness of the impact of suicide and to support Australians who may be at risk. The funding, through the National Suicide Prevention Leadership and Support Program, will help to deliver important awareness and stigma reduction activities, research, and leadership through variety of projects. These initiatives aim to reduce deaths by suicide across Australia.”. ” The data released today indicates that men are still more than three times more likely to die by suicide than women, with the national suicide rates highest among men in the 30s, 40s and 50s. And while suicide rates increased across many age groups, the largest rise was among men 45-55 years in 2017. While young people under 20 years have the lowest rate overall, suicide remains a leading cause of death for young people and the suicide rate among Aboriginal and Torres Strait Islander people remains unacceptably high at more than double the national suicide rate, based on the data available. illnesses are decreasing. We must set a target to focus Governments’ funding and the community on suicide reduction. national target to achieve 25% suicide reduction over 5 years. ” Aboriginal and Torres Strait Islander health and wellbeing combines mental, physical, cultural, and spiritual health of not only the individual, but the whole community. For this reason, the term “social and emotional wellbeing” is generally preferred and better understood than terms like “mental health” and “mental illness”. ” Pat Dudgeon explains why suicide rates among young Aboriginals are so high and what can be done to stem the tide. 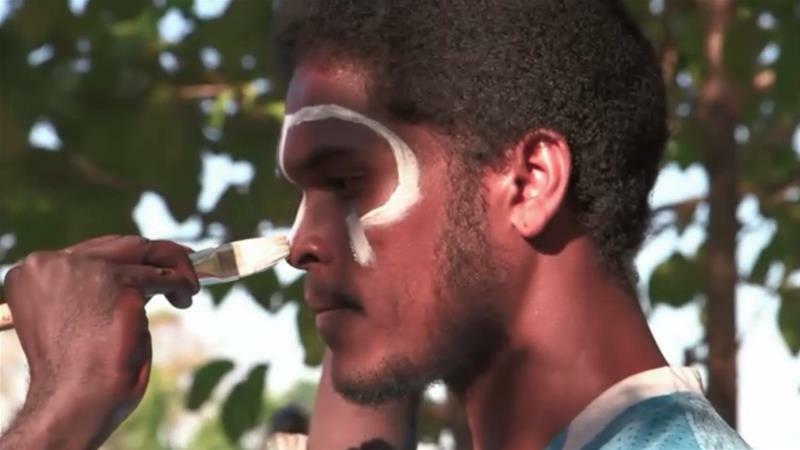 Young Aboriginal Australians are four times more likely to commit suicide than non-indigenous Australians and in one remote community in the country’s Kimberley region, the Aboriginal suicide rate is estimated to be seven times the national average. Experts and Aboriginal elders believe this can be attributed in part to a feeling of disconnection from the land and traditional culture and that the solution rests in restoring that, rather than solely in combatting drug and alcohol abuse. Fifteen highly respected organisations will receive funding including Suicide Prevention Australia who will receive $1.2 million to continue its national leadership role for the suicide prevention sector. Suicide is a national tragedy and close to 3,000 Australians take their lives each year. One life lost to suicide is one too many. The support I have announced today will be vitally important in helping to reduce the number of people we lose to suicide each year. 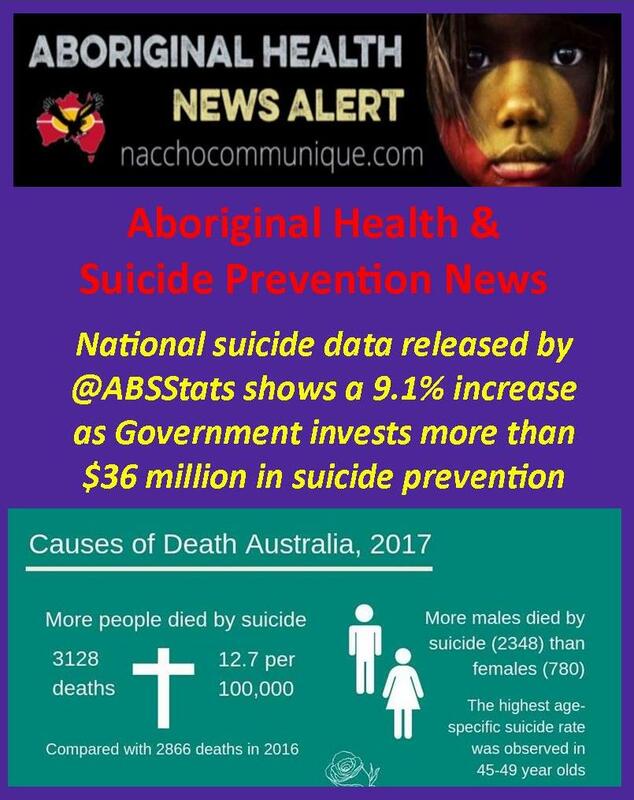 Male suicide rates are three times greater than females and the rate among Aboriginal and Torres Strait Islander people is around twice that of non-Indigenous people. Awareness, prevention and intervention programs for occupations where larger numbers of men typically work will be delivered by the OzHelp Foundation and MATES in Construction to give men the confidence and support to open up and seek help for themselves, and their mates, when in need. Funding will allow the University of Western Australia to continue critical research to ensure the best support and services are being provided to Aboriginal and Torres Strait Island people in our community. A number of organisations, including R U OK?, Everymind, and Reach Out Australia, will receive funding for communication projects such as media and online campaigns to reduce stigma, encourage conversations and provide vital support and resources to individuals and communities at risk. Mental Health First Aid Australia and Roses in the Ocean will receive funding to provide training, education and support for medical professionals and individuals with a lived experience of suicide. A leadership role will be provided by Suicide Prevention Australia to build partnerships across the mental health sector and the community to change behaviour and attitudes to suicide behaviour. The National Suicide Prevention Leadership and Support Program was launched in 2017. This funding boost today brings the total funding for the program to $79.9 million. The Morrison Government is committed to investing in mental health services for all Australians. It is a key pillar of our Long Term Health Plan. In the 2018–19 Budget, mental health funding increased by $338.1 million to boost support for suicide prevention, research and programs for older Australians. The Australian Bureau of Statistics (ABS) released the Causes of Death data for 2017, reiterating the need to renew our collective commitment to suicide prevention in Australia – as individuals, services, communities and governments. Following a modest decrease in 2016, the latest data shows that in 2017 3,128 people died by suicide nationally, the second time that number has surpassed 3,000 in the past three years. This equates to more than eight Australians every day. The Everymind team, through Mindframe, has worked quickly today to interpret the data and summarise it for national stakeholders, but we understand that behind every number is a person and the family and community who are grieving their loss. The data released today indicates that men are still more than three times more likely to die by suicide than women, with the national suicide rates highest among men in the 30s, 40s and 50s. And while suicide rates increased across many age groups, the largest rise was among men 45-55 years in 2017. Everymind’s Director Jaelea Skehan says it is critical governments, services and the broader community come together to ensure an inclusive and proactive response to suicide. “No government, service or individual should think that the lives lost to suicide in this country are acceptable. As someone who works nationally in suicide prevention and as someone that has lost family and friends to suicide, I don’t think they’re acceptable. “It would be easy to point a finger at one thing that needs to change or improve, but this is a big issue that requires a big response. While rates are still lower than our last national peak in 1997, there has been an increase in suicide rates and the number of deaths over the past five years. In 2017 the national suicide rate was 12.7 per 100,000, compared to 11.8 per 100,000 in 2016. Of the states and territories, QLD, the ACT and NSW recorded some of the largest increases in 2017, while the number of suicide deaths decreased in TAS, VIC and SA. “We need to really look at addressing the social determinants that contribute to distress. We need to empower and build capacity across our community, ensure we have an accessible and responsive service system and better wrap-around supports for people who have been impacted,” Ms Skehan said. For the first time the ABS has provided data relating to comorbidities, with 80% of suicides having comorbidities mentioned as contributing factors. Mood disorders (including depression) were reported in 43% of all suicides and drug and alcohol use disorders were mentioned in 29.5% of suicides. “The data suggests that we need to connect our drug and alcohol strategy and service system to our national suicide prevention efforts,” Ms Skehan said. Suicide Prevention Program Manager Marc Bryant says it’s important to remember that behind the data released today are people, families and communities who have all been impacted. Mr Bryant says it’s also essential we communicate about suicide safely and seek guidance when interpreting the data. 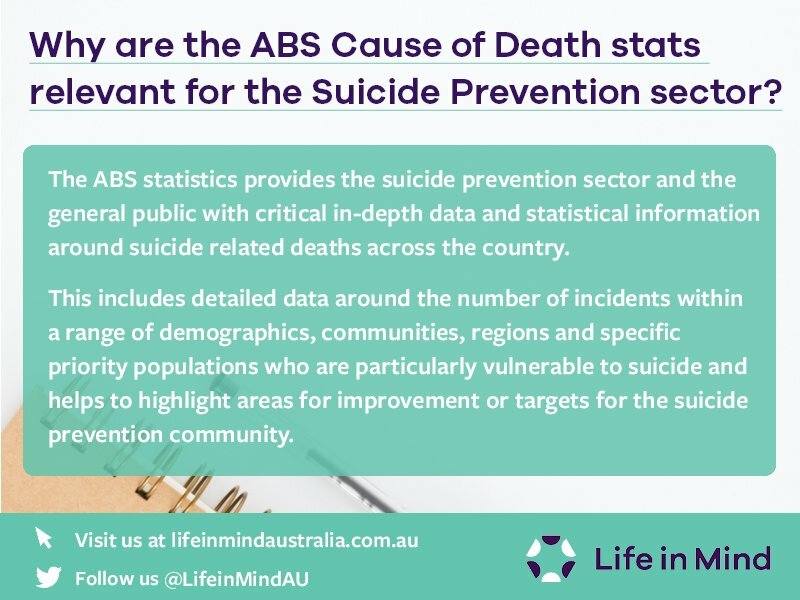 “Mindframe has been working to translate the data from the ABS quickly and accurately for several years now to provide national briefings for the mental health and suicide prevention sectors, as well as the media. “Suicide and suicide prevention are both important issues of public concerns, but we need to make sure we talk about them in a way that is safe,” he said. 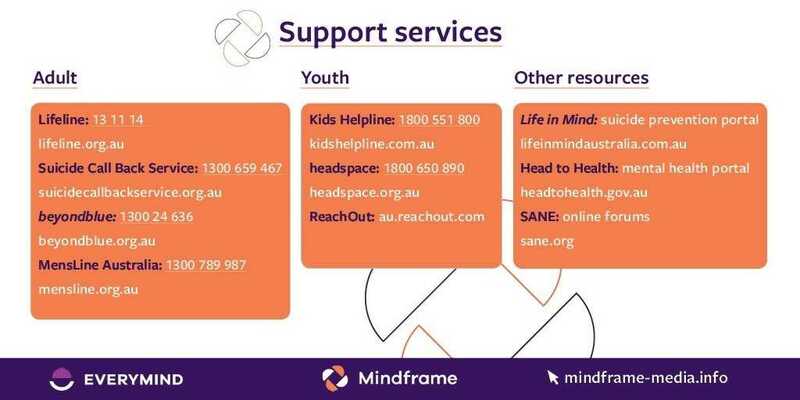 For a snapshot of the data and expert guidance on reporting on suicide please visit Mindframe. To find out more about suicide prevention in Australia visit Life in Mind. If you or someone you know needs support, contact Lifeline on 13 11 14 or the Suicide Call Back Service on 1300 659 467. Part 3 Aboriginal youth suicide rates? Pat Dudgeon explains why suicide rates among young Aboriginals are so high and what can be done to stem the tide. Professor Pat Dudgeon, from the Bardi people of the Kimberley, was the first Aboriginal psychologist to graduate in Australia and is the woman behind Australia’s first national suicide prevention strategy that specifically targets Aboriginals. She talks to Al Jazeera about the mental state of Australia’s indigenous youth and what can be done to battle the suicide rate. Al Jazeera: You were the first Aboriginal psychologist to graduate in Australia. What inspired your career path? Pat Dudgeon: Growing up as an Aboriginal person, I became increasingly aware of the social and historical disadvantage that my people had suffered. I became determined to help them. I wanted to help people with their mental health problems. Life at times can be very difficult – for some groups more than others. And I felt we needed to heal to become a happier, more positive and functional people. Al Jazeera: Has anything changed since we spoke to you for our 2012 documentary “Australia’s Lost Generation”? Dudgeon: Apparently, the national suicide averages have stabilised or even gone down. But for indigenous suicides, there’s been no change; it’s stayed the same and there’s still a lot of suicides happening. However, I think there’s more awareness. There is a greater voice demanding more programmes, but that isn’t being provided as well as it could be. And also, it’s going to take a while. It’s taken us a long time to get to this point. Canadian professor Michael Chandler used to say that high youth-suicide rates are, in a sense, the miner’s canary; it tells you that things aren’t good. It’s the sharp end of a very bad situation telling us that things aren’t good in a society. We need to work to turn it around. But for some communities, that might take a long time. Al Jazeera: Are indigenous children at a greater risk of suffering from mental health issues than their non-indigenous peers? Dudgeon: Indigenous Australians are twice more likely to commit suicide than other Australians. When you break it down by age groups, certainly our youth are more vulnerable to suicide. We live in a society that is often very racist and doesn’t give them much opportunity. But there’s a whole range of different reasons why our youth are suffering from mental health issues and are taking their lives, among them an intergenerational trauma. Youth suicide is not just an issue for Australian indigenous people but other indigenous people from Canada, the United States and New Zealand, as well. And the one thing that we have in common is the story of colonisation. Al Jazeera: Do you believe that the high suicide rates are a result of this colonisation process? Dudgeon: The difference between us and other Australian people is that we’ve gone through a process of colonisation. It was quite a brutal and horrible process that has disempowered indigenous people. Often, there were genocides committed. People were forcibly removed from their countries, from their lands and put into reserves and missions. Children were forcibly separated from families and put into institutions where they were trained to be menial workers, and so on. Aboriginal culture was looked down upon and discouraged. So, as well as colonising the lands, Aboriginal culture and people themselves were, in a sense, colonised psychologically. That had a lasting impact. Certainly, if you’ve been removed from your family and culture, there’s a whole lot of trauma that goes with that. Sometimes, that trauma is carried down from one generation to the next, so that’s something we do need to heal from. It’s only recently that Australia has accepted responsibility and we had the national apology given by the then-prime minister, Kevin Rudd. For us, that was a big healing moment, a very big healing moment. But certainly I think that the “stolen generations”, as we call it when people were removed from their family, is a big issue that we need to grapple with and a lot more healing needs to happen. Al Jazeera: What needs to be done to help people heal? Dudgeon: We have a national healing foundation that supports and encourages people from all across the country to undertake healing programmes, enabling them to heal and to reinstate a strong, healthy culture. We know from our own research that for a programme to be effective, the local Aboriginal community must be involved. And there needs to be a range of different programmes: from clinical services, to back to country, to cultural programmes. And we need a whole range of different services. We need to support our youth, listen to them, hear what their issues are. We need to make our cultures strong to ensure that the youth has opportunities – that they have people to speak to and show them a way to engage in our culture, as well. I think we could see change in our generation if we put in place good systems that supported the Aboriginal community, gave them a whole range of different services – including encouraging and supporting local communities to be involved in any programmes. And to develop local healing and cultural programmes. So it’s not insurmountable. But I think it requires the government to change the way it views Aboriginal communities and their right to self-governing. Al Jazeera: Why is the local approach so important? Dudgeon: For a lot of Aboriginal people, or any person really, one of the things I’ve seen as a mental health professional is the emergence of the consumer movement. People who are consumers of mental health services now have a voice. To improve a service, those who will be using it need to be actively involved in deciding what it should be and how it should be delivered. So, if you empower people, the change will be much more effective than if they’re just receiving through some professional high up, an outsider who doesn’t really understand the issue. This applies to either indigenous or non-indigenous people, but particularly for indigenous people because of their history of colonisation. Al Jazeera: What’s being done to help communities and individuals tackle mental health issues? Dudgeon: There are a lot of programmes, including Gatekeeper Training that helps people identify the signs or symptoms of possible suicide and suggest strategies on how to deal with that. Usually, people from within the community are also asked to go and see someone if there are concerns. I think in today’s society, both indigenous and non-indigenous, we’re much more comfortable talking about suicide, addressing it and helping each other. It was a very taboo subject some years ago. But now it’s OK to say that you’ve got problems. It’s OK to talk about it and to go and seek help. I think it’s good that we’re moving in that direction. Al Jazeera: Could you tell us more about different suicide prevention programmes that are needed? Dudgeon: There needs to be a whole range of different projects. When we started the Aboriginal, Torres Strait Islander suicide evaluation project, we looked at the different types of services needed. When people are very unhealthy they might need clinics that can provide urgent care, they might also need medication. So, you need programmes that can provide immediate relief. You also need programmes that can help them build resilience and strengthen their culture. The main message that came through at the round tables that we undertook across Australia was that people were saying, “We need to build up our resilience.” And the big thing that everyone was concerned about was self-determination. That Aboriginal people, or indigenous people themselves need to be in charge of any developments in the community. According to some research done in Canada looking at First councils tribes, those with low suicide rates had a higher level of self-determination and cultural reclamation. So, those are important factors for indigenous suicide prevention. Feeling like you belong and you’ve got a future is important and empowering for any human being. Al Jazeera: How do you empower communities and people? Dudgeon: I was involved in a project called, “The National Empowerment Project”. It started in response to the suicides that were happening, so we developed a programme to help build a relationship with the communities we wanted to engage with us. The communities chose people, we trained them as co-researchers, and then, they went and asked everyone in their community, what were the main issues and what were the solutions. And after, that we reported our findings to each of the communities. We developed a programme from all those consultations called “the Cultural, Social and Emotional Wellbeing Project”. It’s basically from an indigenous point of view, so it’s very much about indigenous wellbeing, culture and self-awareness. The funding is provided by the government, and it enables people to deal with mental health issues and come up with psychological strategies, as well as strategies to navigate normal challenges of life. It also stresses the importance of elders and culture in a community. So, it’s all about self-awareness and cultural strength. Al Jazeera: Is there any specific case that has stuck with you throughout the years? Dudgeon: Yes. When we organised a big suicide prevention conference in Alice Springs, we decided to have it in Central Australia. There was a community that had suffered a high number of suicides. They were giving a bursary for a couple of them to go to Alice Springs and attend the conference. But instead, they used that bursary to hire a bus for 12-15 people to go from Leonora all the way to Alice Springs, and they stopped in other communities along the way to exchange stories with them. That stuck with me and it illustrates that the community is concerned about the high suicide rate, they will take action, and they’re determined to try and address things themselves. Al Jazeera: Do you believe that this increased awareness can reduce the suicide numbers? Dudgeon: I do get concerned that perhaps not enough funding is being put into Aboriginal communities and that’s probably where the Centre for Best Practice in Aboriginal Torres Strait Islander Suicide Prevention comes in. 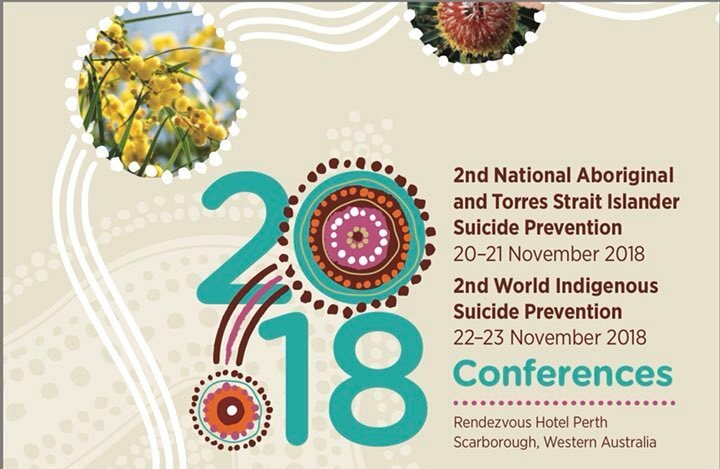 I’m the director of the centre, and we’re setting up a clearinghouse with all the best practice programmes and services for indigenous suicide prevention. There will also be a lot of advice for communities. So, if they want to develop a programme and have it evaluated, they’ll be able to come to our website for that. We can provide good strategies and when communities do get funded, they’ll be able to look at what’s happening on our website and connect with other programmes that they might think will be useful for themselves – in their own time, in their own way.